I learned about medicinal plants when I was a child, in my native home of Ukraine. My grandfather had a great eye for them. I was not curious enough to ask, but I inherited a connection to the native plants that grow in the local wilderness. On a late summer or early fall weekend, he used to hop on a bicycle and ride to the nearest forest. At the end of the day, he came back with a basket full of mushrooms, covered with branches of the plants that he picked. The branches brought home the aroma of the deep forest and its wild nature. He filled up his huge basket with mushrooms, but to protect the mushrooms from dryness and road dust, he picked plants that were growing in the forest and covered the mushrooms. He selected specific plants on purpose, he was not covering the mushrooms just with some foliage, he knew that what one brings home should enhance the lives of the family. I distinctly remember he used to bring the sprigs of wild St. John’s Wort and Oregano plants that Grandma had taken over, cleared them up by removing grass leaves and carefully tied them in bunches before hanging them over to dry. Next day Grandma brought them to the market to sell as home remedies. According to the Ukrainian folk traditions St. John’s Wort is considered medicine for 99 different diseases. It is no wonder that, my ancestors had kept this herb as the go-to home remedy. 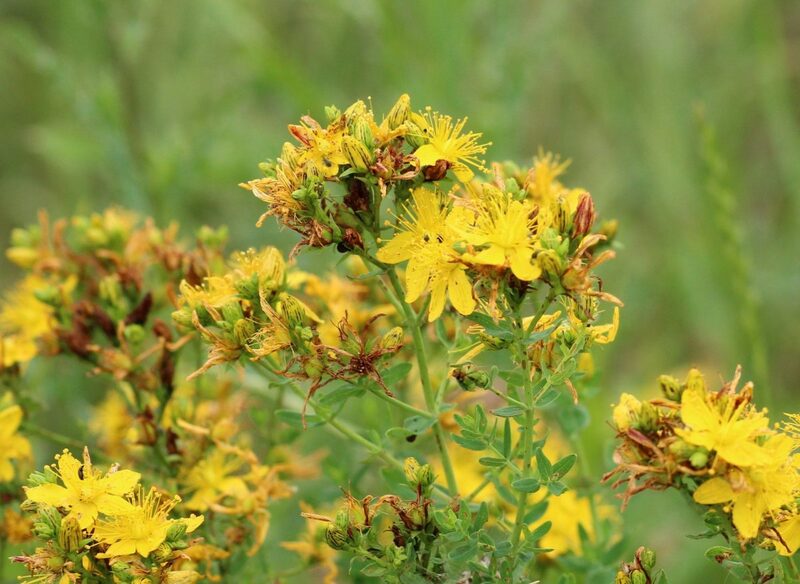 The medicinal properties of St. John’s Wort are undeniable. Some researchers call St. John’s Wort magic grass, whose light and energy naturally flow into the human body. Of course, today you can find St. John’s Wort in every pharmacy. However, experienced herbalists say that herbs are the most curative when we manage to collect them on our own. 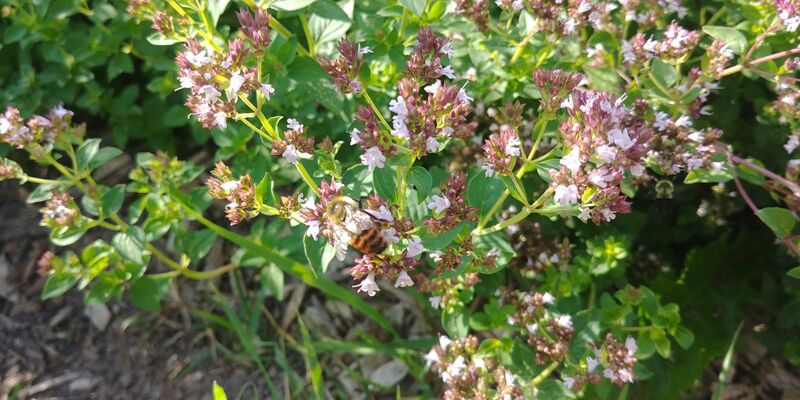 When you look at Oregano, this faint pink flower has a great deal of strength, and the beneficial properties of this plant are perfectly combined with its subtle aroma and soft pleasant taste. I definitely give my grandparents credit for keeping an ancient tradition alive, for praising these and many other plants as the source of medicine. The power of native plants always prevailed and remained as a go-to remedy throughout human history. While at the market, I remember seeing old ladies selling specific medicinal herbs tied in bunches or already pre-mixed for the particular medical treatments. You could easily approach one of them and ask for herbs that helped a pain or disease. They would gently respond with a lengthy explanation that earned your trust. People used to visit pharmacies and buy packed herbs there, and the staff was knowledgeable enough to give advice on medicinal herbs and their consumption. Today only 20% of medicine is based on herbals. Think about this fact: 37 deaths a year were reported in the 1992-98 period due to the herbs used for medical purposes vs hundreds of thousands documented deaths resulting from using pharmaceutical drugs. What do you think of that? I want you to stop right here and think about this: Who has estimated that about 70-75% of 8.6 billion people on Earth still use plants in their Primary Health Care? As we gained affluence in the Western world, our life system led us to the path of the chronic illnesses and miracle drugs are not fixing us anymore. And a lot of our chronic diseases persist as chronic diseases, and we understand that when we go to the hospital with a chronic illness, we don’t come back as cured, true? As a matter of fact, we come back with more medicine. Isn’t that crazy??? That’s what led people to question: are we doing the right thing, and with that question the door inevitably opens to botanical, nutritiously based therapies and primary lifestyle prevention. People started to realize there’s value more in what we can do to make our health better, to prevent our kids from getting sick. I want to live longer but not just live “yucky “ but live long and well. We’ve been convinced that modern medicine cures, sometimes overnight. But the evidence experientially isn’t there at all. We’ve been sold into the mysterious magic idea that says when we’re given diagnosis and medicine is delivered and consumed, the disease is cured, and life goes on as usual. WOW, such a fairy tale we’ve been brainwashed into!!! Disconnection from Nature is a primary reason for modern illnesses. Disconnection from the Nature is a disconnection from healing and all available resources that Nature provides: oceans, mountains, forests, jumping into the lake, lighting up a fire outside in a middle of the forest, climbing a tree or a rock, picking wild mushrooms, making tea and growing your own medicinal plants – all provided by Nature. Even if you’re using herbs as simple as complimentary – as a supplement or as a vitamin or as a tea to calm you down during the night, or to relax your stomach if you are not feeling well. Your favourite Java cup or another caffeine-bearing plant to boost your energy – they are all practical examples (modalities) around the world. The further you travel out of the city the better is the appreciation, understanding and perception between people: Their parents have used them, their grandparents taught them to use them, and now their kids have trusted the plants for healing, to be culturally acceptable, inexpensive, efficacious, with fewer side effects than conventional medicine – using the plants for the Primary Health Care issues. Today a lot more people are interested in plants as medicine, nature as a healer and standing up for our roots than ever before. You like the adventure of hiking, don’t you? 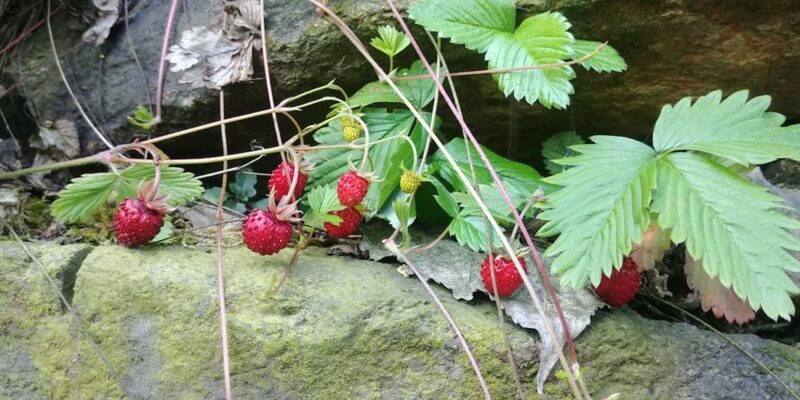 How about going for a hike with the goal of finding the plants that have medicinal properties? I’m sure the deeper you go off the beaten path, the wider varieties of the plants that you see in the wilderness will be the medicinal ones. The logic is simple – the further you go out into the wilderness, the less damaged it is by the human invasion of the natural environment, and native plants thrive. They harden over the years of reseeding themselves, surviving inside the flow of nature and collecting, absorbing the vitamins and minerals with their undeniable benefits. Think about that for a minute... Would you instead rely on the scientifically manufactured mutated plants that were produced in test-and-trial laboratories or, trust the longer experienced Mother Nature that honed those benefits over thousands of years? A traditional Chinese medicine master once asked me when we were having discussions in nature about what's healing and he asked me this very powerful but simple question. We were in a forest and he said: “Look around. Find me something around here in the forest. Find me something that is not medicine.” And I couldn't. Everything around us was medicine in one form or another. Even the soil beneath our feet. The microbes in the soil are medicine. The minerals and the stones are our medicine. You know - chemical constituents in the tree bark are our traditional Chinese medicine. A lot of those are: tree barks, the herbs, the plants, everything has a medicinal component. Even the sky, the sunlight was medicinal. I couldn't find anything that wasn't medicine. 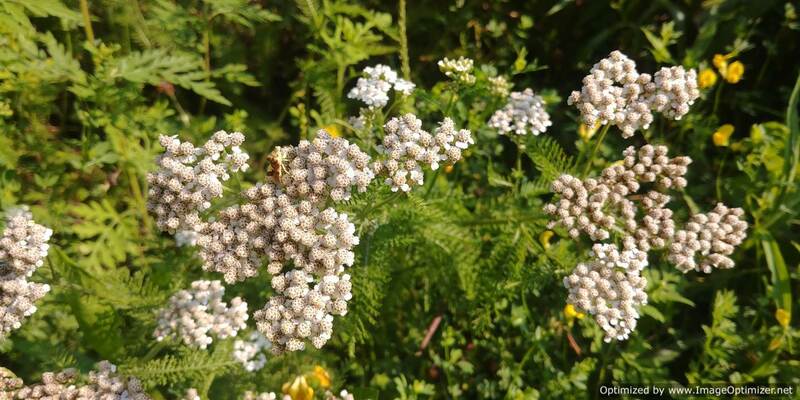 The native plants we see around were used by Indigenous people to treat their diseases and pains. Our grandparents still have a more excellent knowledge of how they have to be collected and used but, the further we run with the history of human civilization the more plants become extinct, the less conscious we become about the healing treasures that are hidden inside those plants and grasses. I want you to pay attention to what grows beside you, what you step on when you walk off from the paved trail path, to recognize that most plants that live in the wilderness are much stronger than the ones we plant in our gardens. Think about that – being in Nature they had to go through the natural survival in the enduring presence of neighbouring plants and win over the weaker ones. Those green creatures under your bare foot are the lifesavers, the healing helpers, the most significant source of the medicine that is cultivated naturally, were adjusted to the climate changes, global warming and the most severe catastrophe – modern civilization. We have a gold mine of the medicinal plants around us. Appreciate them, pick up with care, leave some for others and plant them in your own yard where they will thrive even more thanks to your fertile soil. The plants you can use as a medicine grow all over your yard, all over the fields around, in the pots on our window. Look around in the area where you live, get curious about the native plants that grow along with your walking trail, ask what herbs your neighbours grow and pick some plant to grow and enhance your meals with vitamins and minerals. Start from one plant, focus on one element, check what benefits it brings up. Pick up some leaves, brew tea with it, and enjoy the process of healing 🙂 . If you would like to learn more on how to grow your own medicinal garden, join GardenHowTo Club.